Office Space - Whitby, North Yorkshire. 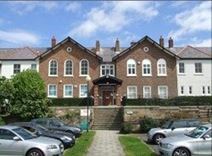 This historical building, recently refurbished to a high standard, offers a wide range of offices of various sizes to accommodate any of your requirements. The building is provided with parking facilities and enjoys a stunning view over the harbour.